Deadline has the exclusive news that Sony has just inked a writer/director to work on a Twisted Metal movie. While not much is being said about the project, we do know some of the basic premise and that the solo director/writer will be making seven figures. 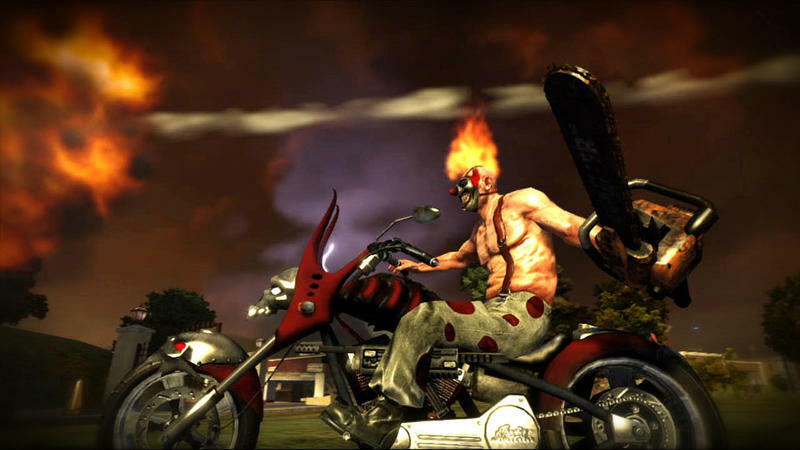 The movie will cover the underground destruction derby world of Twisted Metal. It will also feature series staples like Sweet Tooth and Doll Face. The whole flick will be written and directed by Brian Taylor. Brian Taylor? His most recent work was the Co-Director of Ghost Rider: Spirit of Vengeance. His directing and writing history includes flicks like Crank, Gamer, Jonah Hex and Crank: High Voltage. I’ll just put this out there for you folks reading this in anticipation of a great film adaptation of Twisted Metal: I’m not sold on Brian Taylor as a director. Who knows? The man may pull a stunner and put together an unbelievable film that does some good for the game-to-movie world. Sony obviously thinks he’s the person for the job as the deal they’ve supposedly signed him to is worth at least seven figures. Here’s my question to you…does this video game series deserve a film adaptation? Is Twisted Metal the type of franchise and brand that screams “explore my universe on the big screen! ?” While I’m not entirely sold on the idea, maybe some of you folks are. So, please, tell me why this is a good choice.